New! 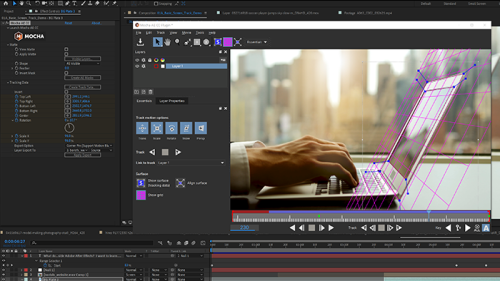 The bundled Mocha AE CC that ships with Adobe After Effects has been updated in the Fall Oct 2018 release of AE (v16.0). 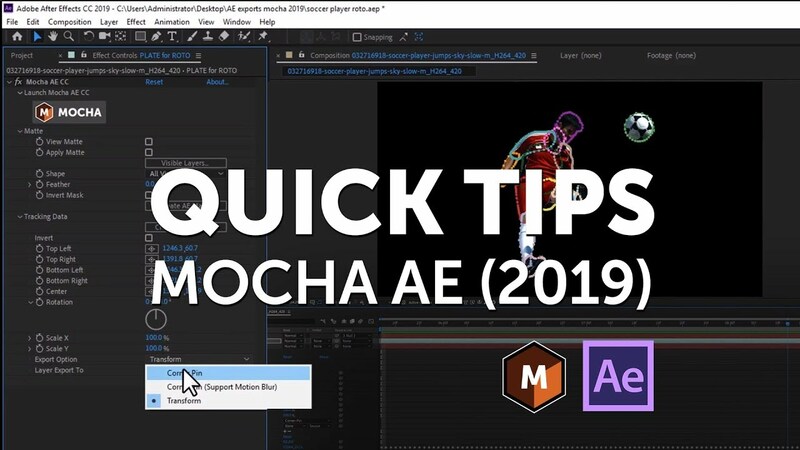 Mocha AE CC (Mocha for After Effects is now a plug-in and updated with GPU accelerated planar tracking, new Mocha Essentials workspace and improved workflow for AE users. Looking for More? View the Compare Mocha products chart, to see how Mocha AE compares to Mocha Pro 2019 and other Boris FX products. Note: All Mocha AE CC software updates are delivered through Adobe Creative Cloud. 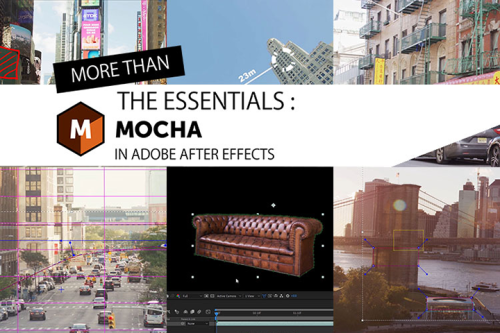 Mocha AE is now running as a plug-in inside Adobe After Effects with many new improvements! Want to run these features inside Premiere Pro? Subscribe to Mocha Pro 2019 for $295/yr. Purchase Now.